One of the best things about living in Ocean City is that there is so much to do all year round. From movie nights on the beach during the summer to carriage rides on the boardwalk during the holidays, there’s never a dull moment on Maryland and Delaware’s Eastern Shore. And, now that 2013 is firmly situated in the rearview mirror, there is an entirely new crop of events to anticipate and pencil into your social calendar. It’s hard to believe, but January is already half way over and Super Bowl Sunday is just around the corner. The biggest day in American football is the perfect excuse to rally with your friends and neighbors whether you’re a sports fan or just like watching the commercials. As you start finalizing your plans for viewing the game, we wanted to remind you about another big sporting event happening right here in Ocean City. The Super Bowl Sunday Scramble at Eagle’s Landing Golf Course is back for another year, and it’s a great way to kick off your Super Bowl celebration. 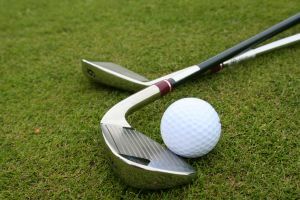 Ocean City’s Super Bowl Sunday Scramble is the perfect opportunity for golfers to participate in a fun, unique, and competitive round of golf before spectating the most exciting football game of the year. The event is a four-player scramble with golfers assigned the positions of coach, quarterback, running back, and wide receiver. Points are scored using football terminology, with 30 percent of the “A” player’s handicap as the team offense. The Super Bowl Sunday Scramble is a very popular event amongst residents and visitors alike, and does sell out each year. Be sure to purchase your tickets today! Entry into the tournament is $50 per player, which covers green fees, a golf cart, and entry into the tailgate party. Participants will enjoy a delicious breakfast/brunch beginning at 9:00am, and kick off (shot gun start) is at 10:00am sharp. Best of all, prizes will be awarded to the winning teams. This will be a great event to attend if you recently decided to buy an Ocean City condo and are eager to explore your new neighborhood! We may be a little bit biased, but we’re confident that moving to Maryland and Delaware’s Eastern Shore is one of the best decisions you’ll ever make. From the beautiful landscape, to the energy of Ocean City’s boardwalk, to the fabulous dining options, to the picturesque golf courses, there’s no better place to plant your roots or invest in a vacation property. Please reach out to us at McNamara & Associates if we can be of any assistance during your transition to life on Maryland and Delaware’s Eastern Shore!